Hello again. Happy Monday! I hope you've had a good week. I sure have! We had a nice week that ended with some beautiful weather on the weekend. We got to spend almost all afternoon outside yesterday at the North Carolina Museum of Life and Sciences. It was fun and perfect weather for it! Here's a quick recap of our week of reading. I posted a review of Animal, Vegetable, Miracle by Barbara Kingsolver. I also wrote about World Read Aloud Day last week. I'm still reading my March book club selection, The Spirit Catches You and You Fall Down: A Hmong Child, Her American Doctors, and the Collision of Two Cultures by Anne Fadiman. I have to say it's been tough to get through, but I'm plugging along. I also picked up a second book, which I hardly ever do. I just needed something more relaxing to read! 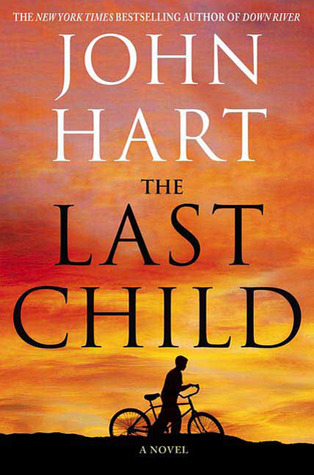 So I'm reading The Last Child by John Hart. It's been on my bookshelf for a while after several recommendations from friends. I'm enjoying it. I still need to write a review of The Forever Year by Lou Aronica this week. Sorry, Lou!!! And once I finish the two books mentioned above, I'll be moving on to The Color of Greed by Jack Thompson. C is still reading through the The Children of the Red King series. Last week, he read Charlie Bone and the Invisible Boy, and he's just about done with Charlie Bone and the Castle of Mirrors. He's really enjoying this fantasy series. 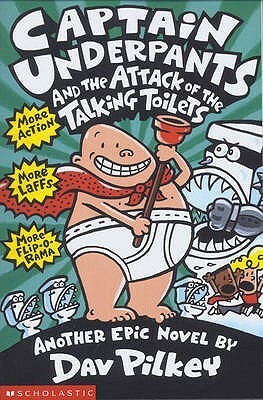 I also keep finding him re-reading Captain Underpants books this week! He's been drawing some comics based on the books too. It's fun to see him go back to old books from his bookshelf! M has been reading more Rainbow Magic books and Junie B. Jones books. I also picked up a couple books from the library related to Community Helpers since they're covering this topic at school. 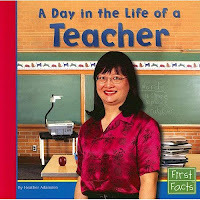 We got A Day in the Life of a Teacher and A Day in the Life of a Police Officer. She's enjoying learning about different community helpers. The First Facts series, of which the teacher book is a part, is a bit more detailed and has more words than the DK Readers series. Both are good, though, if you're looking for a series to explain different careers.